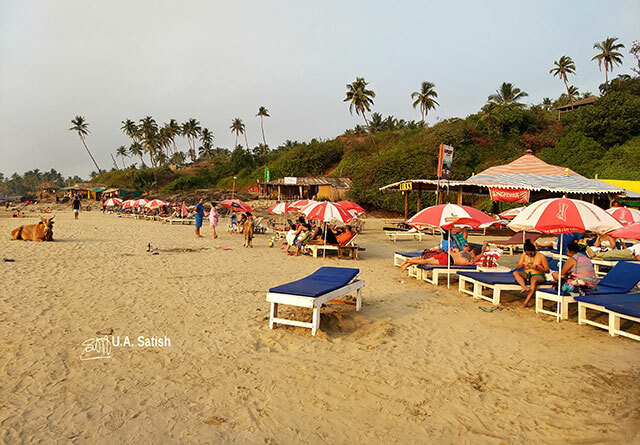 Ozran Beach is in North Goa. 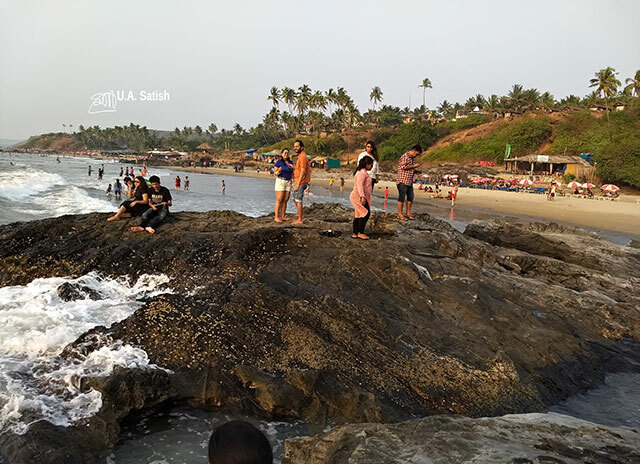 It is also known as Little Vagator because it is near Vagator Beach. 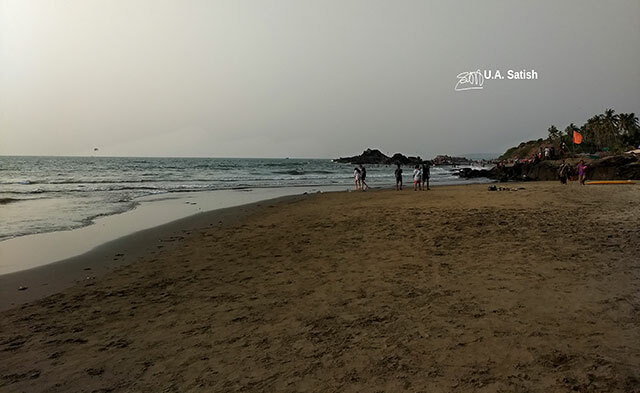 Ozran Beach is small and quiet. A striking feature of the beach is that you have to climb down a steep cliff to reach the place. Ozran Beach is at the bottom of a palm fringed cliff. There are a few shacks down there and also the famous Shiva Rock is at one end of this beach. 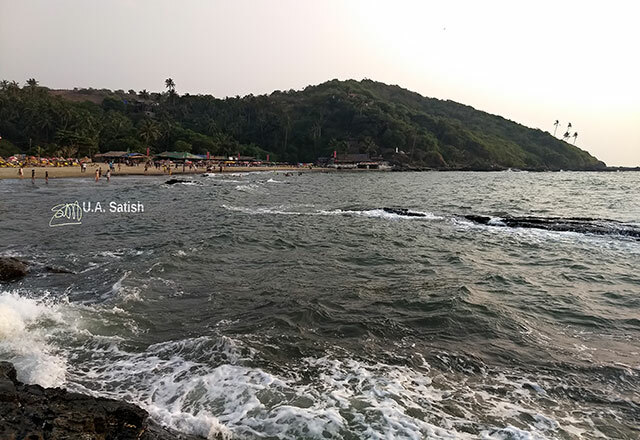 Ozran Beach is between Vagator Beach and Anjuna Beach. There are many restaurants and resorts in the vicinity. You can visit Chapora Fort (2.8 km) from here. Chapora is the nearest village. In the evenings, fishing boats dock at the jetty and you can buy fresh fish from the boats. Panjim is a drive of 21 km (45 minutes) through Mapusa. Thivim (19.4 km) is the nearest railway station. Goa airport is 46 km (1 h 21 min) to the south. Mapusa (10 km) is the nearest town. Any bar or restaurant will order a taxi for you even at late night, so there are no worries about getting stuck. Moreover, you can hire two-wheelers by the day. Petrol costs are to your account. On the beach are beach beds on which tourists relax or have a sun bath. Mainly foreign tourists use them. Viewing the sunset on this beach is a great experience. In the afternoon, some cows descend on the beach and lie on the sand. They disappear after sunset. In the evenings, some of the restaurants show movies and sports events on big screens . Food is great and plentiful with tandoori, seafood, Chinese, pizza and pasta. Over Christmas and new year, trance parties are not unheard of. Foreigners and locals often play football and volleyball on the beach. The beach is popular with Israeli tourists.